In a sense, everyone limousine rental can be considered as a custom limousine. Although there are wedding limousines, airport limousines, airport sedans, anniversary limousines and much more, each even is in itself a unique venture. It is very difficult to find two parties, two individuals or two groups that have the same expectations, interests and expectations from their limo rental service. Therefore, we have come to consider each rental as a customized service, presenting everything we have to offer to out clients, and basing their customization and specifications on what they request and what they request. The diversity and multiculturalism that exists in Toronto and many other Canadian cities has made it difficult to streamline services and products, but rather has helped in expanding the horizons of many. This has created a versatility and flexibility in the products and services many offer, with unique understandings in some areas as to what different cultures expect. This has also transcended into the limousine rental industry, with increasing demands for different types and classes of limousines, as well as different needs and requirements whether the vehicle itself or the amenities in the vehicle. The custom limousine business itself is vague, as the whole industry has turned into a customized mode of transportation. 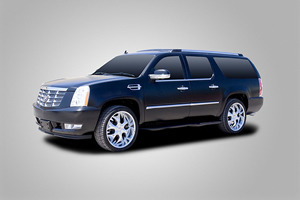 With Toronto Airport Limousines, the customization goes as far the customer needs it. There is nothing we are not willing to do for our clients, and we strongly believe in providing guaranteed customer satisfaction each and every time. If you are looking to rent a custom limousine for a wedding, then we are the people to make it happen. We will go all out and do whatever it takes to make sure the bride is decorated top to bottom when it comes to her transportation needs, and that elegance is what is bestowed on her as she enters in and out of any of our vehicles. If you are looking for any type of customization, whether it is an anniversary, birthday, bachelor party, bachelorette party, baptism, funeral, sporting event, graduation or a prom night, Toronto Airport Limousines has the right custom limousine rental service to offer everyone in Toronto, Mississauga, Markham, Barrie, Maple, Vaughn, Woodbridge, Richmond Hill, Thornhill, Scarborough, Burlington, Oakville, Hamilton, Niagara Falls, Oshawa and beyond. Whenever you need us, wherever you need us, and whatever you need us for, always think about our custom limousine rental services and we will go the extra mile to ensure your complete satisfaction.